Hello Friends! Occasionally I like to look back and see the progress of my business from when it began to where it is now. I can’t believe how many reclaimed wood signs we have created. These signs are some of the first items I began making for my business. I am so pleased that all of you have loved them just as much as I have. 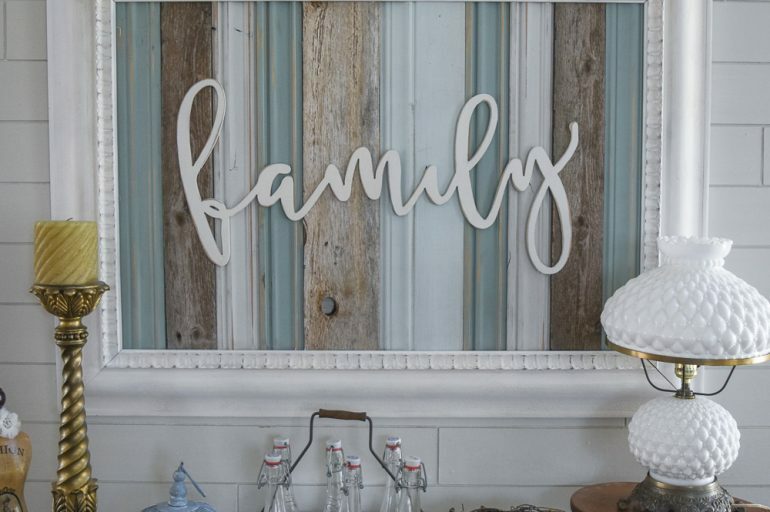 All of our signs are one of a kind as they are created from reclaimed wood and moldings. We try to keep our shop stocked, but sometimes we can’t quite keep up. If you would like to be kept up to date on all of our shop listings you can sign up for our email list here or down below. As a DIY’er, I like to encourage others to create their own pieces as well. If this is an option you are considering, we do sell the wording to go across the planks. They can come finished or finished, or you can special order and pick your own word. Check out our shop here. 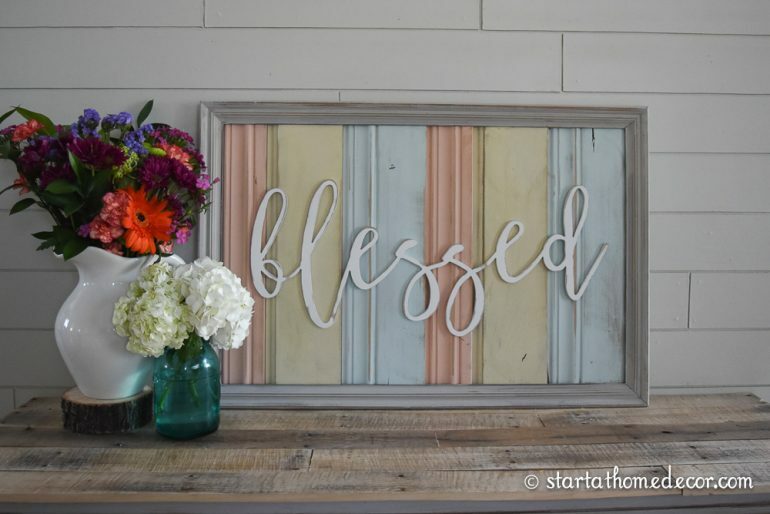 Now on to a few of my favorite reclaimed wood signs! This sign is 4 feet long… yes, you heard right! I loved creating it from an old window. To give you an idea of just how big this sign is… here is my little helper holding the wording! And yes, we are so blessed to have him! I love the combination of corals and teals together and this frame is the perfect mixture of that. Look at that cedar… all the weathering is just perfection for reclaimed wood signs! You can find similar signs here. This sign was a custom order, but it was about 4 feet long….big huh? And yes, that is me… of course I take a picture of myself after I worked in the garage all day! 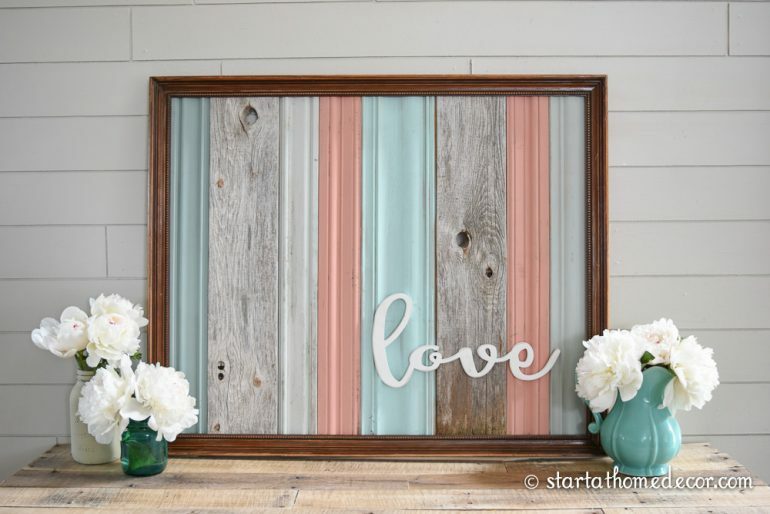 If you are a teal/aqua lover this is the frame for you! Can you tell that I’m a huge aqua fan? My kitchen is covered in these accent colors. I LOVE LOVE these colors together and this frame is just beautiful!! You can view similar signs here. 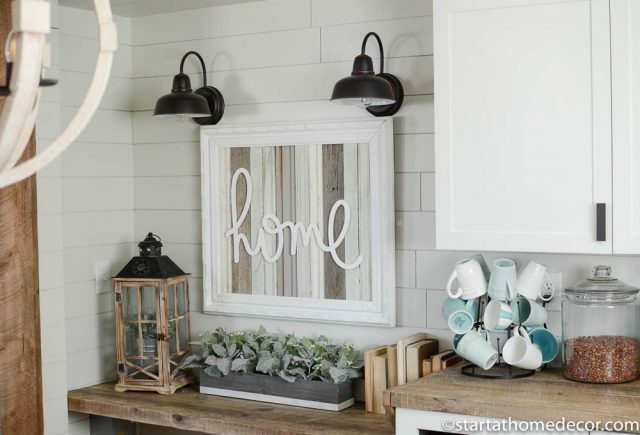 This sign was made from painted reclaimed wood moldings. Look at all the unique chippy goodness!!! 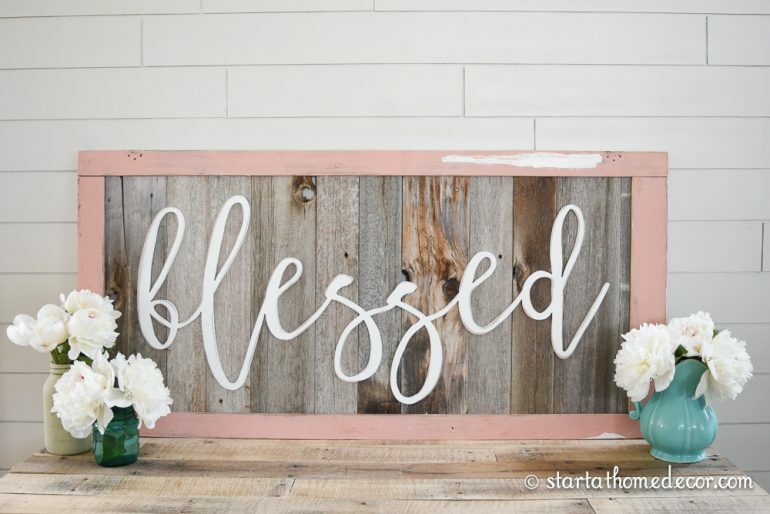 These blessed signs are so popular I can’t even keep them in my shop for very long! I also offer an updated blessed cutout by itself, listed in the shop. 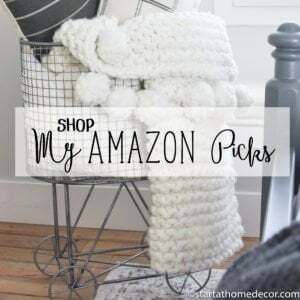 I try to keep our shop stocked… but if you see something you like don’t delay because each item is one of a kind! And I LOVE this chunky frame around this beautiful wood!! You can view similar signs here. 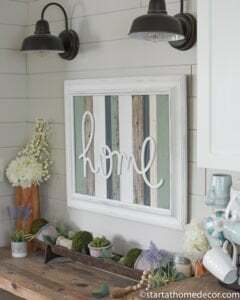 There is a peek at a few of my favorite reclaimed wood signs!! You can view our shop here! If you want to be kept up to date on all of our new Shop listings sign up for our newsletter below! Love your work! Do you mind telling how you made the words from wood? I thought they were vinyl. I love the the wood work. Specially reclaimed wood. Thank you for your idea. Keep up the great work. Do you sell your work? I’m interested in the sign that says family in those blueish colors. If so how much? Hi. I love your work. Is there any way I could order one custome made? Like with somone’s name? I just love your pictures!!! May I ask what kind of CNC machine you have? Darn spell check changed words. ? Can I purchase just the cut out words? If so, let me know how! I’m also interested in knowing if you sell just the letters. I’m interested in a CNC machine. How much do they cost, in general? Do you have a favorite brand? Any advice is greatly appreciated. Thanks! Do you just sell the words? Very nice looking signs. I really like the cut out letters over the reclaimed wood. You don’t see too many people doing that. 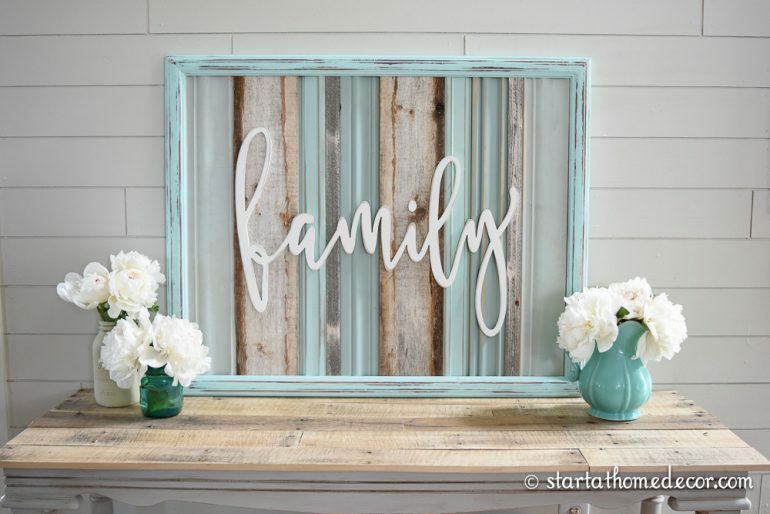 I love th family one with the teal, white and wood frames behind the word but I can’t find it on your etsy page! Could I buy one? I would like to purchase a sign….. How do I purchase? I too am interested in the wording. Do you sell it by itself? 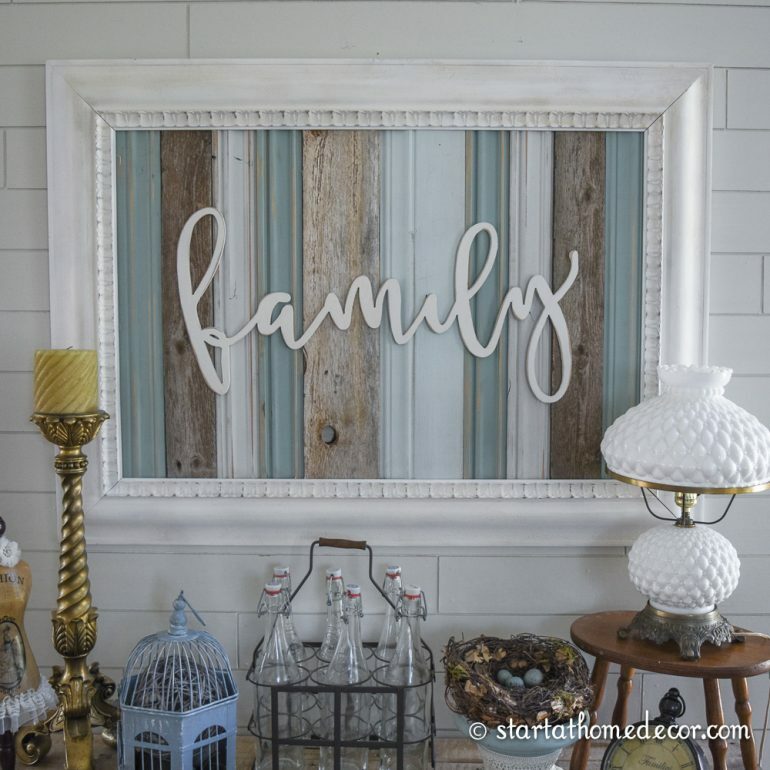 I really like the large turquoise family frame. What’s the measurements and how much? Hello maam for some reason i cannot find pricing on your “Family” sign on the website. Do you mind telling me the pricing on that please . I love the family sign you are holding on your website. Is this something you would make again, and if so, ship?? I would like to buy the big white frame with family on it. Please contact me. Hello, do you take custom design requests? Looking to get a wood cut out of our business name to take with us to bridal shows! Hello! Love this project! I am working on the frame now. I just got done cutting the wood. How do you attach the wood to the frame? Will there be anymore family signs with the teal accents? ive been looking at the CNC machines but they are really expensive, I was looking for a low cost one but I don’t know what is good. would you be willing to share what type of machine u use ? 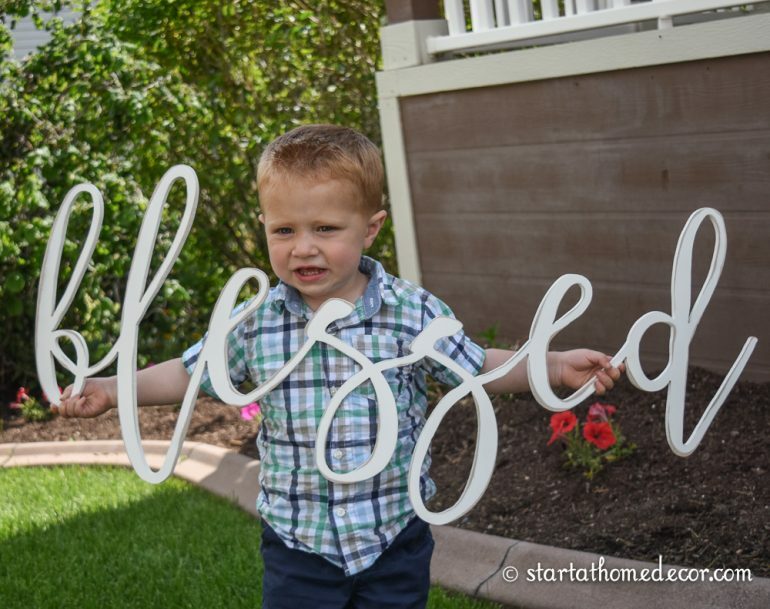 Do you have a family sign for sale like the one at the top of this page with the white chunky frame and aqua pieces in it? If so how much is it and how can I buy it? Thank you! Do you sell the wood words? Love them. Lovely work! 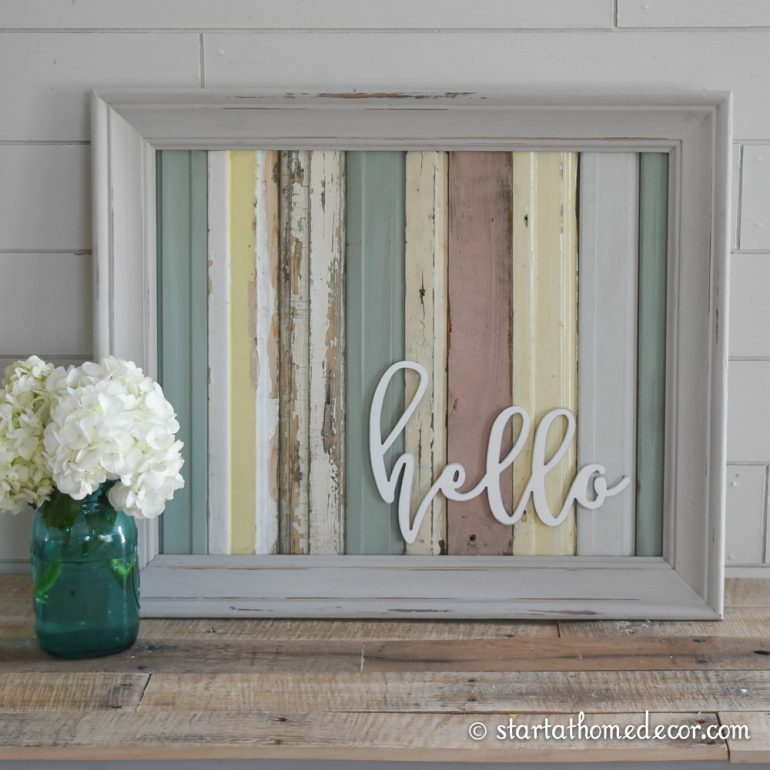 How do you attach the reclaimed wood to the frame? Glue, screws, nails? What does the back look like? 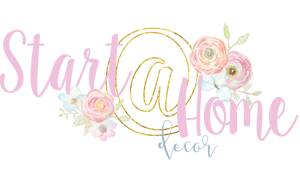 Do you do customized wall art? 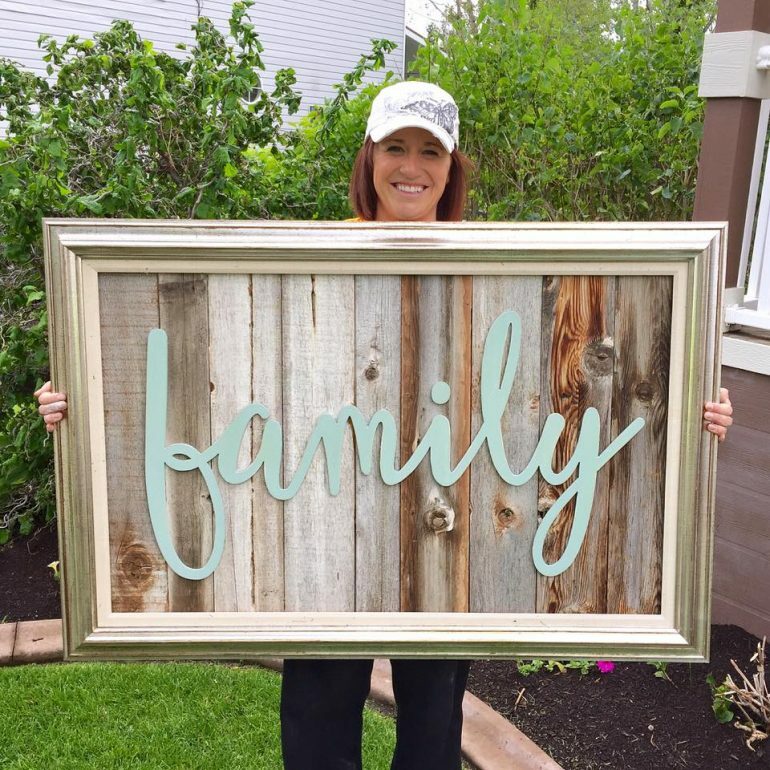 Hi, I wanted to purchase the large family sign you are holding in that picture but in the turquoise colors and frame that is lower. How do I go about doing this? I tried your etsy page, but can’t find it. Thanks! I am interested in your white chunky frame that has the family sign in it. I am only looking for the frame only. Would you have one available or do a custom order for one. If you could let me know if that’s possible I would appreciate it. Your work is lovely!